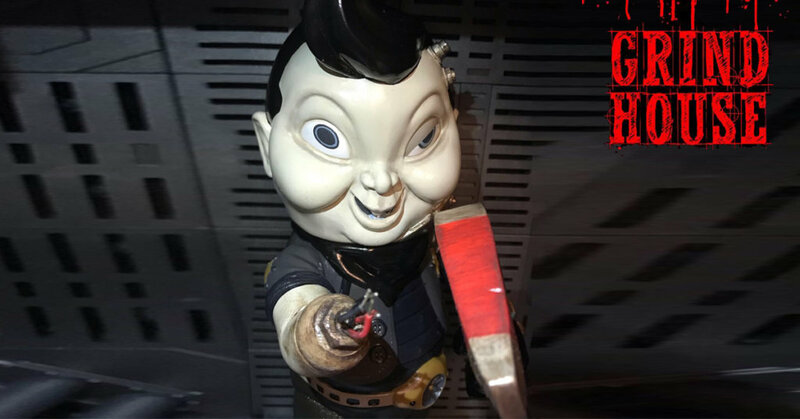 Taiwan based customizer, “YUN Akowes” takes on Grindhouse Toy’s “Bad Boy Jack” from American Most Wanted series. YUN transforms Bad Boy Jack . Robocop look away, HA. Here comes THE BLACK IMPERMANENCE 黑無常. GRINDHOUSE TOY Now Proudly Presents their one-off 10 inch soft vinyl toy figure custom by @akowes :- THE BLACK IMPERMANENCE（ 黑無常 ）! Lottery Sales will start from 27 JAN 2019 ( NOW ) to the end of 29 JAN 2019 ( Hong Kong time )! Winner will be informed by 30 JAN 2019. The figure will come with The Toxic Gas-Mask , One Gun & One Axe. Item will be shipped out by 31 JAN 2019. Winners qualification will be cancelled if there is no settlement within 3 days upon announcement.